Three more men have been charged with murder of 30-year-old Przemyslaw Golimowski at his Bedford home. This brings the total number of people charged to four. Mr Golimowski (pictured) died after being stabbed at his St Mary’s Street house in the early hours of 28 September. Shortly afterwards, 21-year-old Jamal Jeng, from The Close in Clapham, was arrested and charged. The three men charged this week are Delpiero Mothersill, 19, from Bedford, Damian Rooney, aged 24, of Magpie Gardens, Wixams and 22-year-old Philip Mendy from Tavistock Place, Bedford. All have been charged with murder, say Beds police. Mr Golimowski was described as a “smiley and cheerful man” by his family. 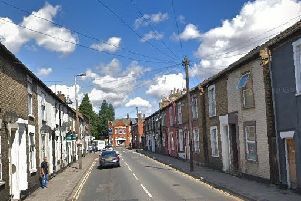 Police appealed for anybody who saw anything suspicious in St Mary’s Street at the time to come forward and contact them.